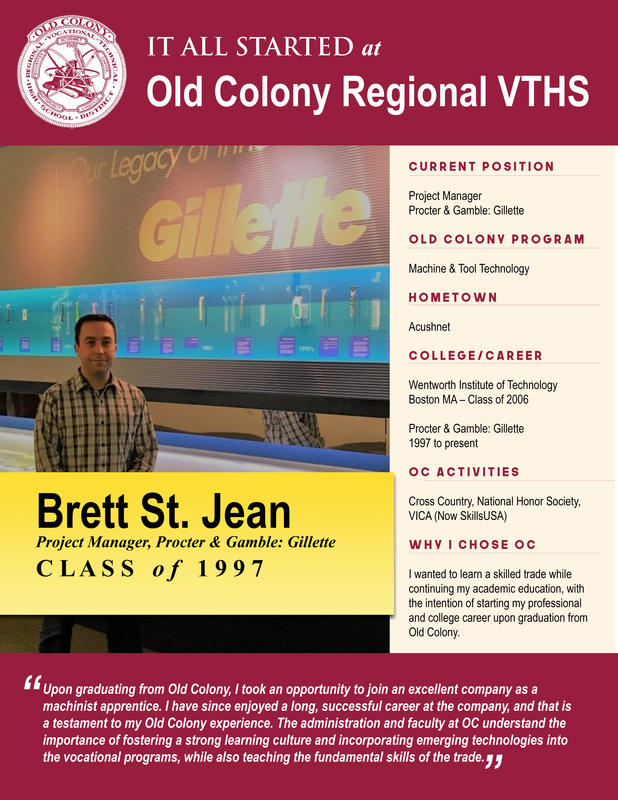 Alumni Association » Alumni Profiles: Where are they now? 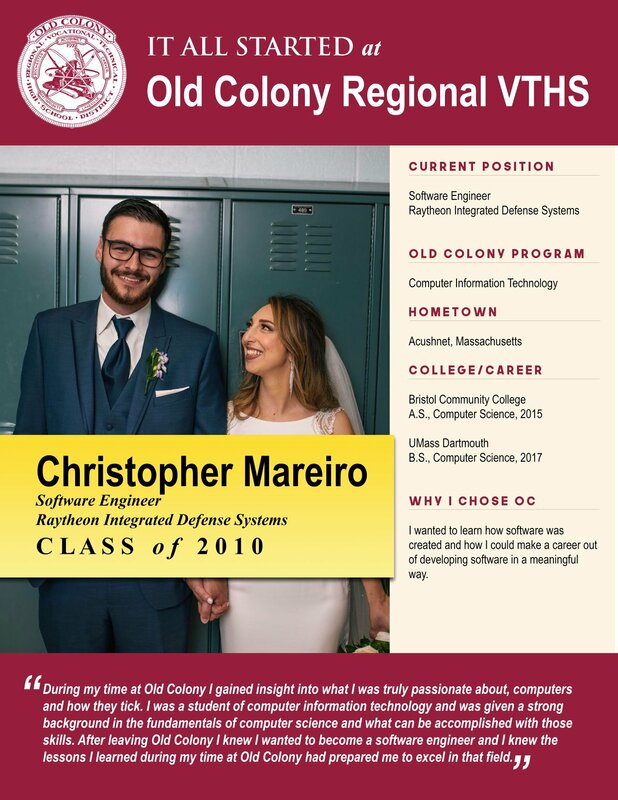 The Old Colony Regional Vocational Technical High School community takes great pride in the success of our OCRVTHS graduates. 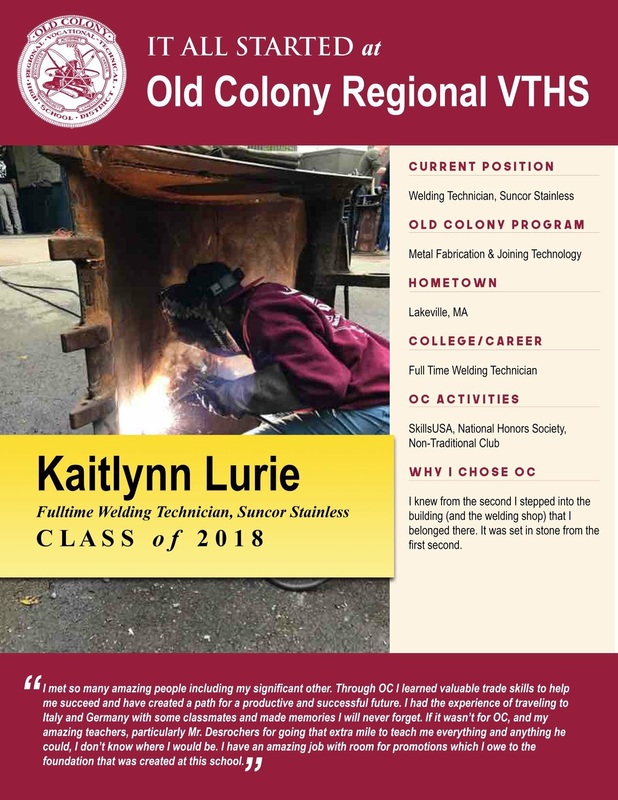 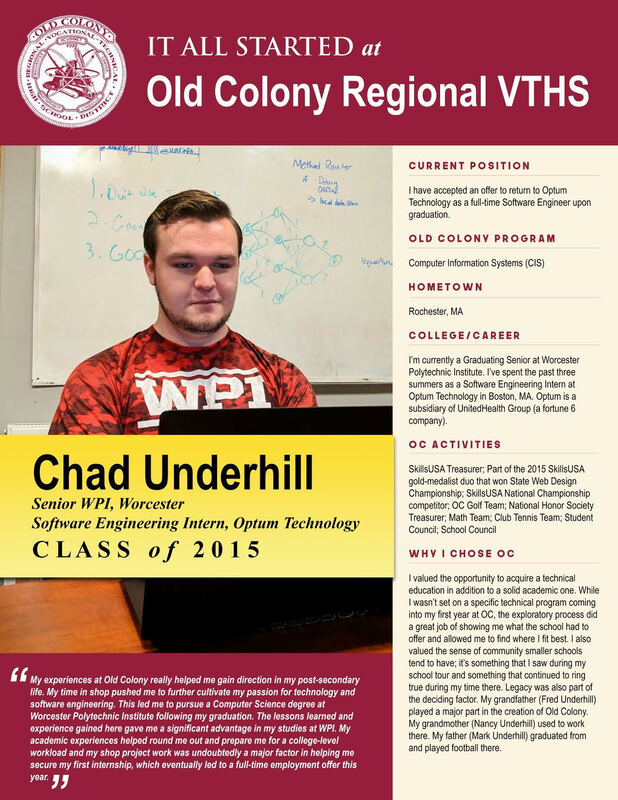 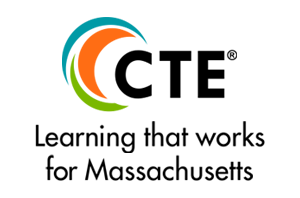 Since opening our doors in 1975, the Old Colony Regional Vocational Technical School community has dedicated our efforts to educating caring, competent, passionate, and connected members of society. 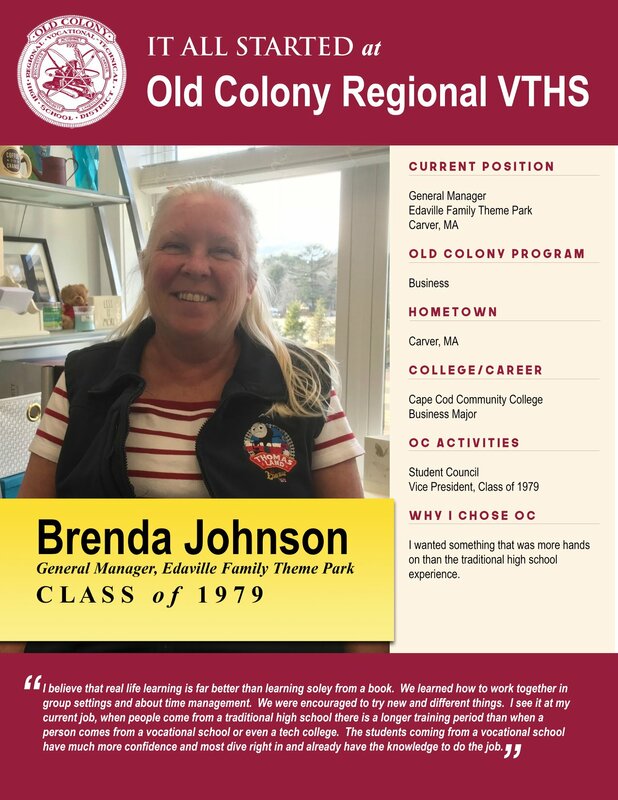 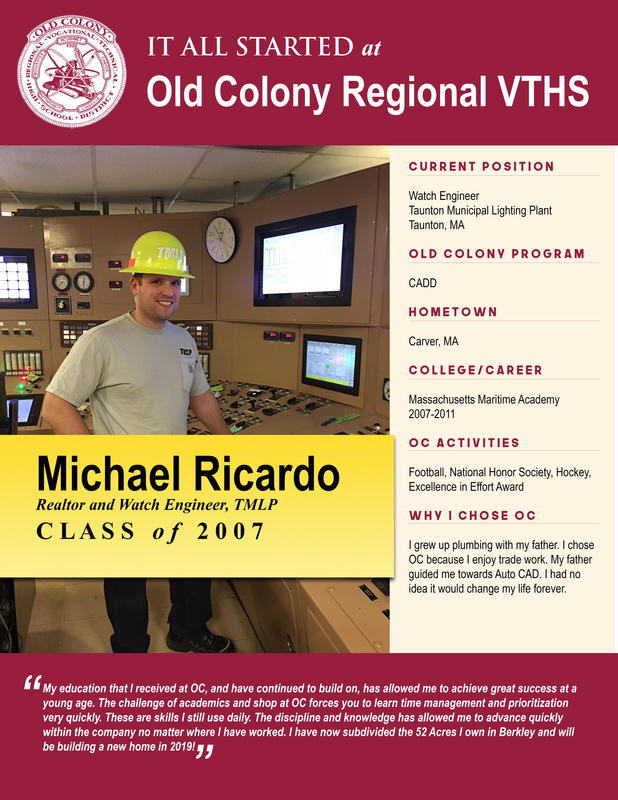 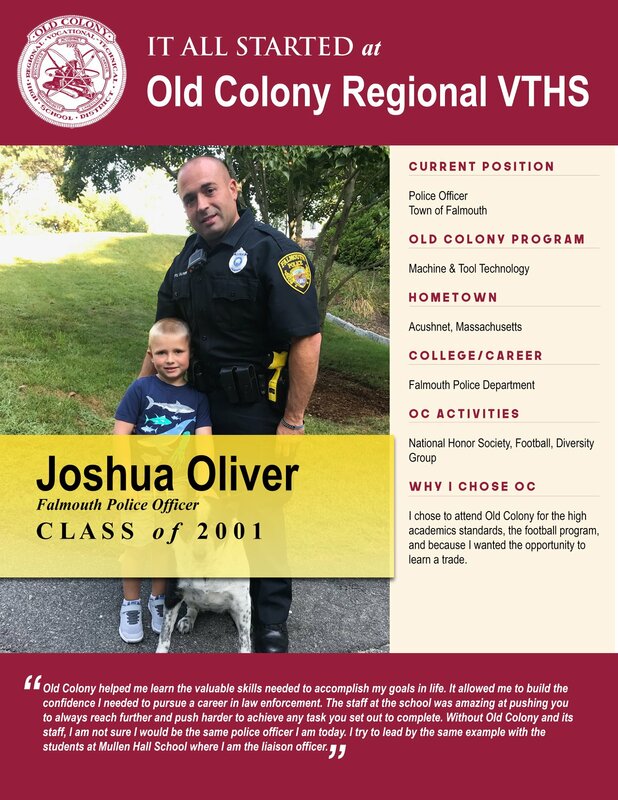 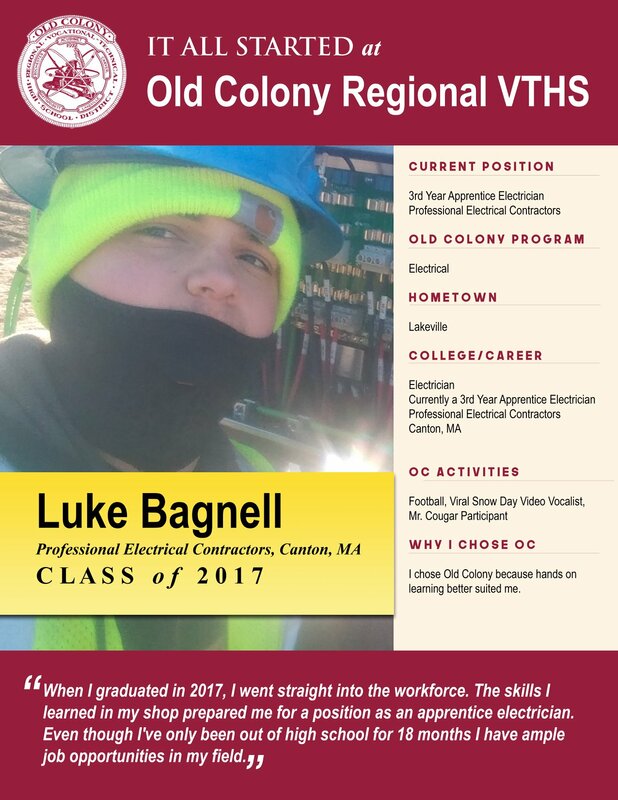 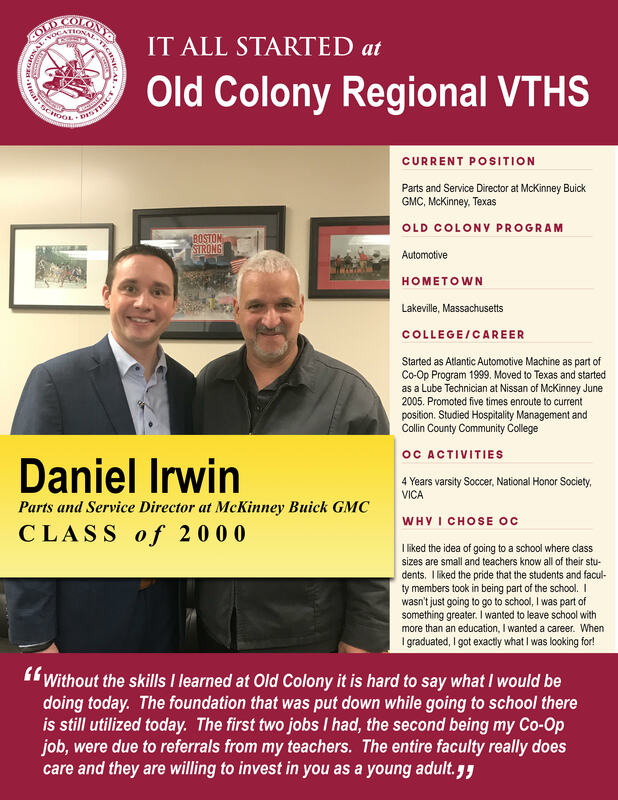 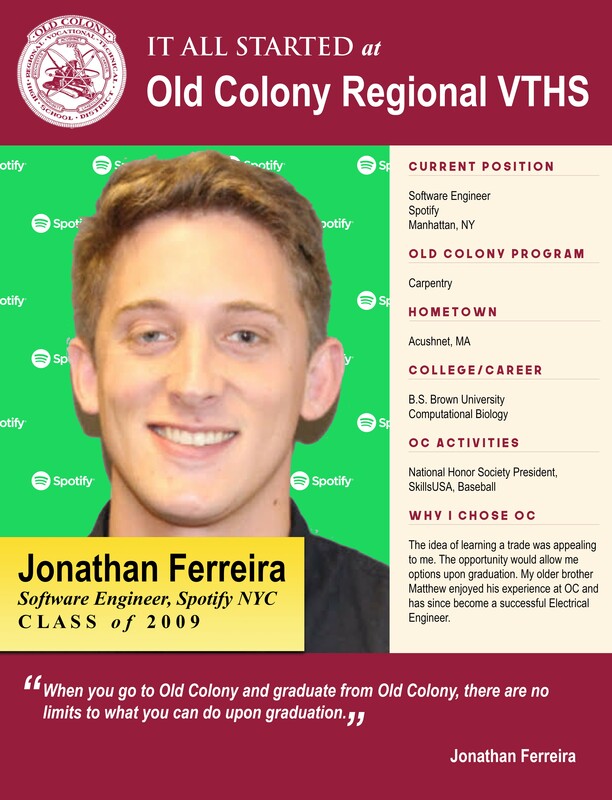 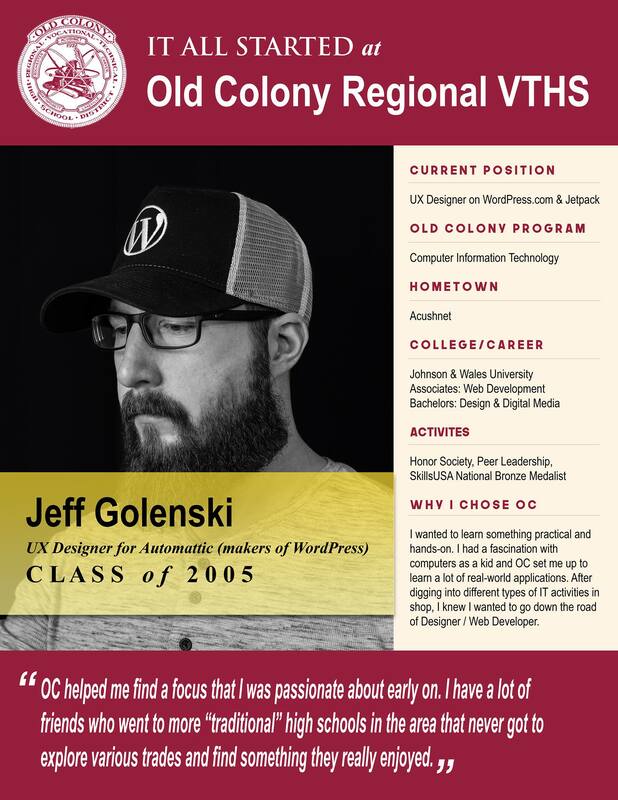 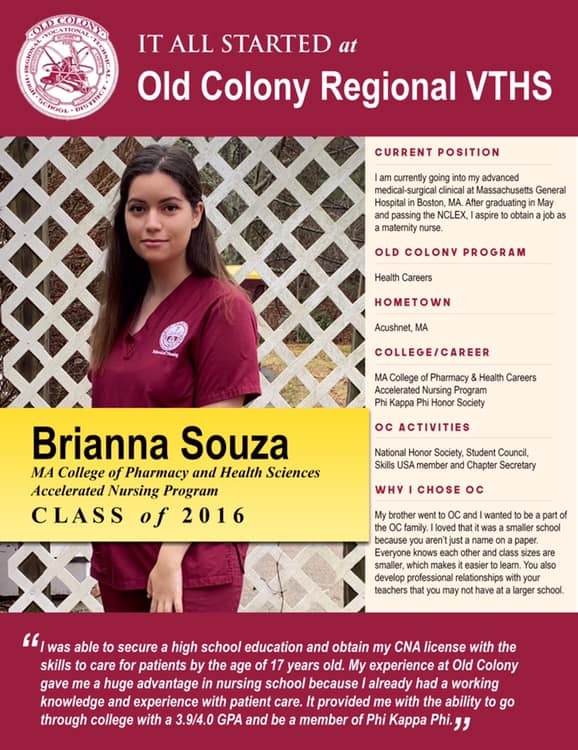 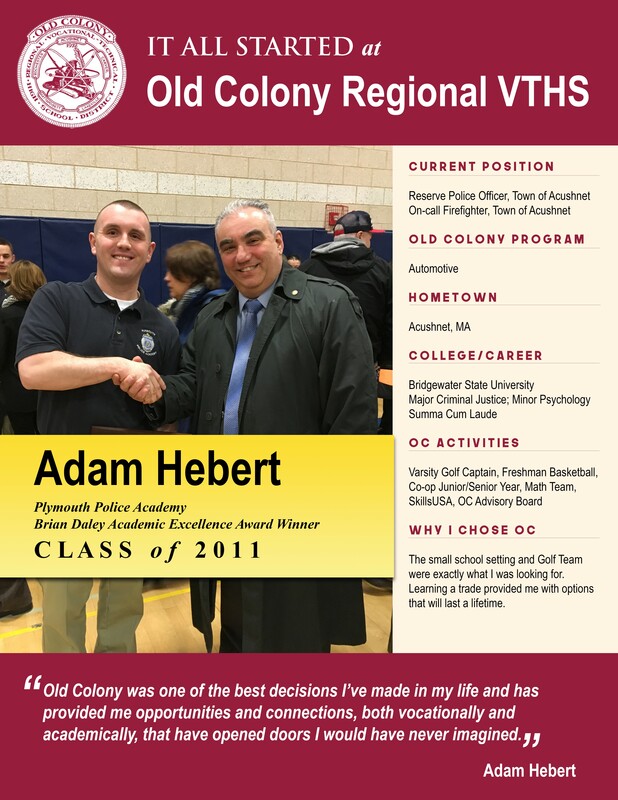 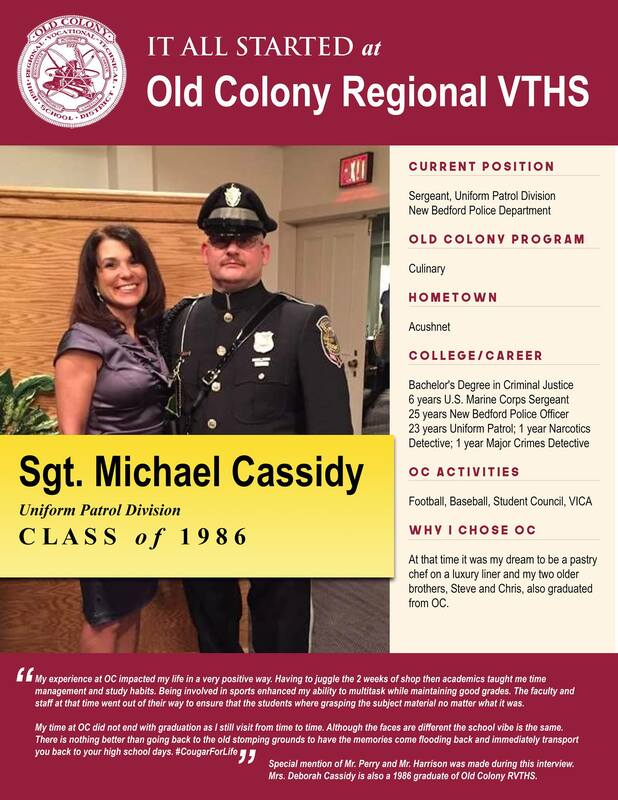 Below you will see a number of alumni profiles shared as part of our most recent “Where are they now?” effort to highlight the many successes of our Old Colony family. 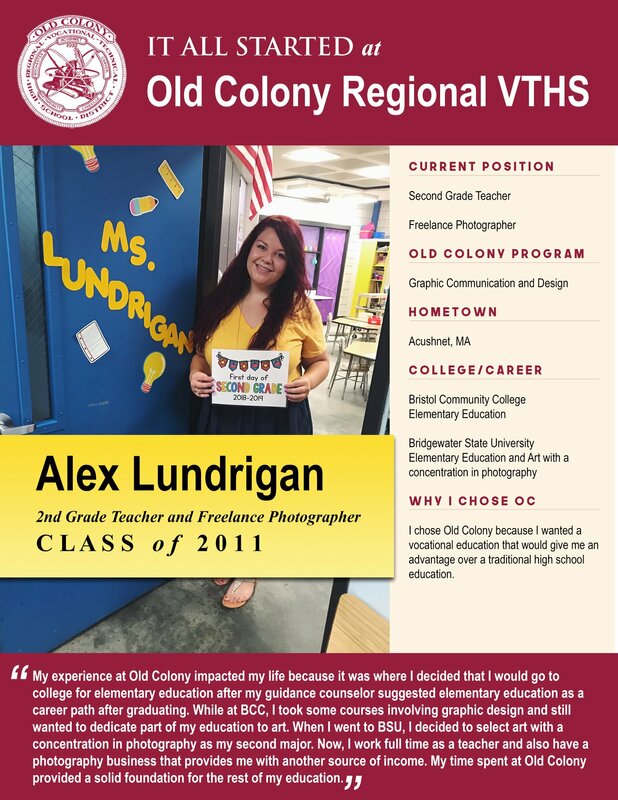 We thank you for your continued support of our programs and encourage our Old Colony graduates to share their stories by emailing apolansky@oldcolony.us.